By Heather Nicholson on February 8, 2013 Visit Heather's Website. You’ve obtained the best stock, raised them well, and made your breeding selections. Find out how you can sell hatching eggs to promote a rare breed, build your business, or simply get the best price for your eggs. Hatching eggs are popular on auction sites such as Backyard Chickens Forum’s Buy/Sell/Trade, Egg-Bid.com, Rare Breed Auctions, EggAuct.com, Feather Auction.com, and eBay. You can also sell hatching eggs online through your own blog or website or by posting on Craigslist in the Farm and Garden section or Best Farm Buys. To sell locally, you may also consider placing an add in your local paper, posting an advertisement in the post office or feed store, or setting up a table at local poultry swaps. 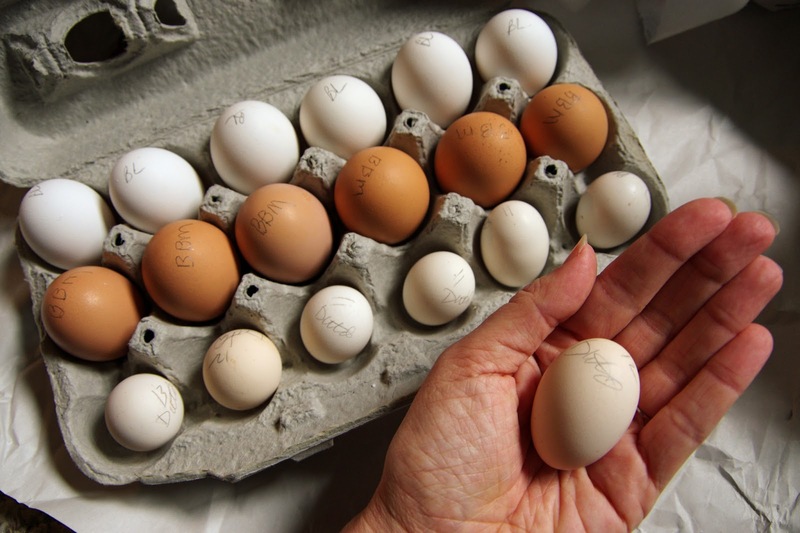 Most eggs are sold in groups of 6+, 12+, 8, 10, 16, 24, or 36. The “plus” means that extras will be included to offset any eggs damaged in transit. One extra egg for every six-to-eight is reasonable, but people love extras. If you will not include any extras, use the word “exactly” in your ad, as in “exactly 15 eggs.” Limit your sale to what you can reasonably expect your breeding flock to produce in three days or less.Look at the prices commanded by other sellers with comparable products in a comparable market. For example, look at the prices of other hatching eggs in your local paper or search for similar hatching eggs on the website. If you are selling on an auction site, you might begin bidding at the lowest price you are willing to sell your eggs for. If you are selling at a fixed or “Buy it Now” price on an auction site or through another outlet, price competitively. Prices vary based on the quality of the parent stock. Hatchery or “pet quality” eggs might warrant $6 to $18 dollars a dozen while breeder quality eggs might reasonably bring anywhere from $20 to $200 dollars a dozen. There aren’t technically any “show quality” eggs because even show quality parents’ offspring cannot be guaranteed. However, this term is commonly used and may be appropriate if the parent stock place well in poultry shows. Some sellers price by the egg with $2.50 to $6.00 per egg being quite common. 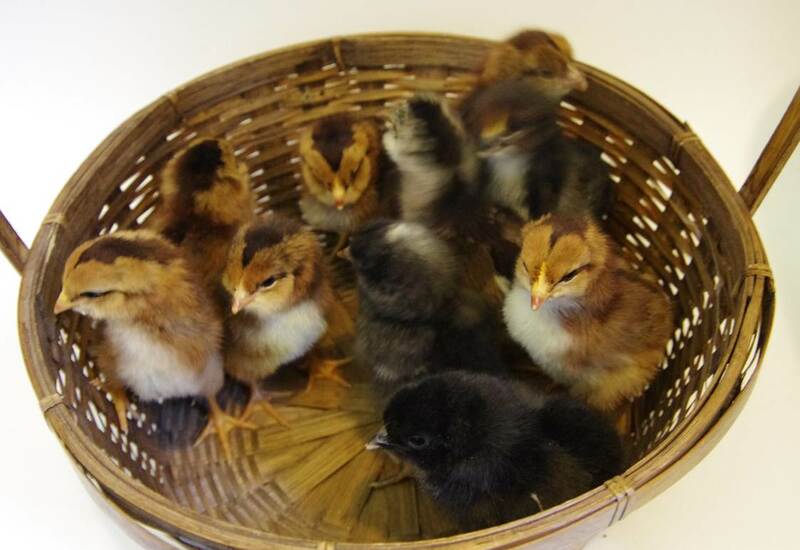 People expect that hatching eggs are from well-selected chickens which are good representatives of their breeds without illness or major disqualifications. They expect that the parent birds were fed a breeder ration and that hatching eggs were collected and handled appropriately. 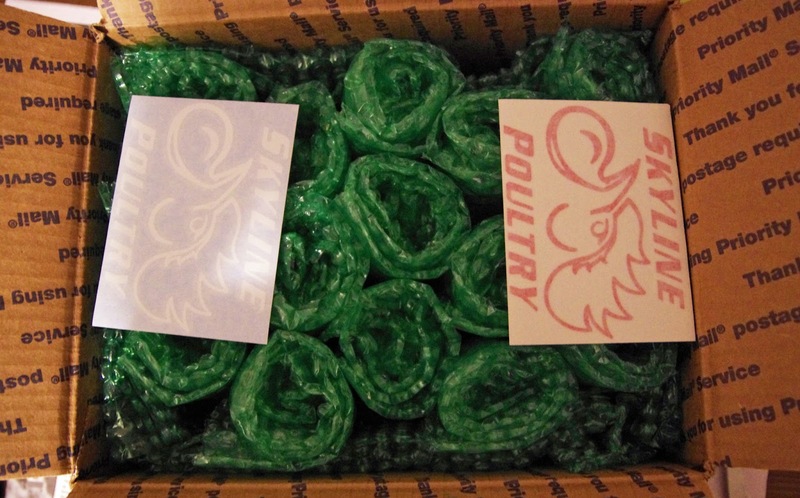 Inform buyers if you will be shipping pullet eggs. Be sure to warn your buyers if any of these conditions do not apply to your eggs. Be very clear about what you are selling. Explain what breeds of birds you have, how many breeding groups will be included, how many cockerels and hens you will be using, the age of your flock, and how your flock has been selected. Buyers will also enjoy information about the breed itself as well as your husbandry methods especially if they include a special breeder ration, access to pasture, or organic feed. You may also want to list the results of test hatches and overall fertility. If you show your flock, list any awards you may have won. If you have had your flock for less than two years, you may want to state where your stock originated. However, if you have had your flock for an extended period and have made your own selections then the line is your own. You could continue to use the original breeder’s name if you obtain their permission. If you are a member of a breed club or organization, list your affiliation and include a logo or badge. Hatching eggs are not guaranteed in any way due to circumstances beyond the seller’s control such as shipping, handling, and incubation conditions. 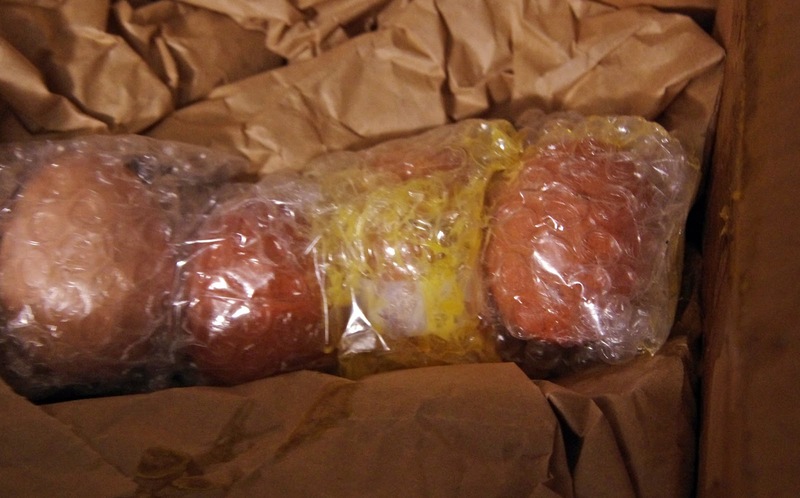 Fertile eggs can fail to develop and appear clear because of damage during shipping. While every effort will be made to provide you with fertile, well-packaged eggs, the seller will not be held liable for the eggs’ failure to develop or hatch. If the eggs you have selected are not available to ship on the date you have selected, you may request a refund or select another shipping date. If shooting from behind wire, be sure that your subject is in focus. Ask buyers to include not only their shipping information but also their email address and phone number. Ask if they would like you to have the eggs held for pickup so they can be contacted to retrieve their eggs directly from the post office rather than having them ride around in a bumpy delivery car all day. Ask if the buyer would like you to include any other notes on the box. “Fragile,” “Live embryos,” and “This end up” are often included but may not have any great effect on how the box is handled. For best results, gather your eggs frequently especially in cold, hot, or wet weather. Twice a day would be ideal but at least daily is a must. 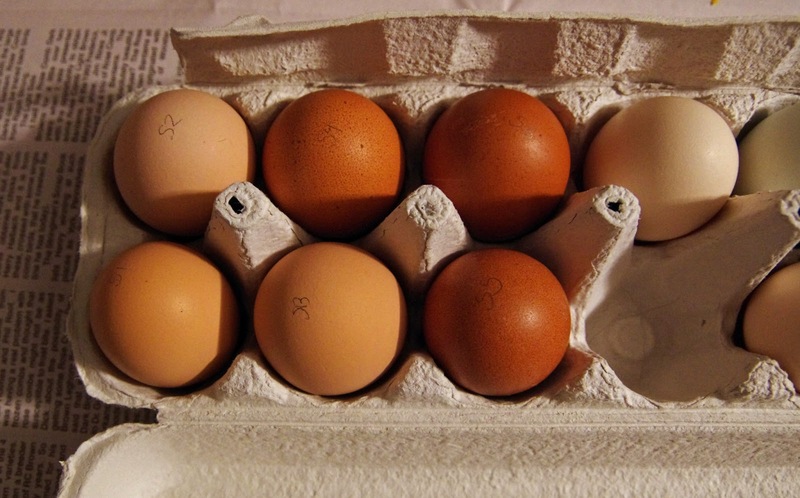 Carry the eggs gently and place them wide-end-up in a clean egg carton. Do not wash the eggs because it will impair hatchability. Brush dried dirt off of eggs with a dry cloth and discard any heavily soiled eggs. Collect enough eggs that you will not need to send soiled eggs to your buyer. To keep eggs clean before you can collect them, eliminate mud in the run using thick mulch and be sure to provide ample, clean nesting material. You may want to mark the eggs with their pen or breed and the date they were laid. Use a pencil; marker may be harmless, but you will avoid objections by using the standard tool. If you use abbreviations or acronyms to indicate breed or pen number, be sure to include a key to explain your code to your buyer. Store the eggs in a closed carton. Place the carton in a cool corner of your home, about 55-68 degrees F. with 75% humidity. To up the humidity, place a small bowl of water beside the carton. 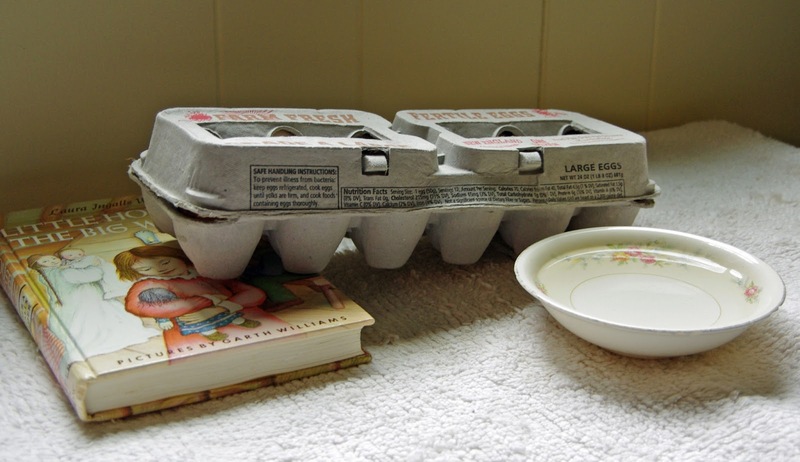 To prevent the yolk from sticking to one side of the eggs, elevate one end of the carton on a book or small block of wood and move the block to elevate the other end once a day. Mail eggs that are no more than three days old. Generally, people want to set eggs which are less than one week old. If you ship a three-day-old egg and it spends 2-3 days in shipping, it will be 5-6 days old when it arrives at its destination. Most buyers will rest their eggs for at least 24-hours before setting, bringing the eggs up to one full week of age. Gather your eggs over the weekend and ship on a Monday or Tuesday. Ship by USPS Priority Mail which will take 2 days to most destinations but can take longer. Ship Express if the extra time is worth the extra money to your buyer. 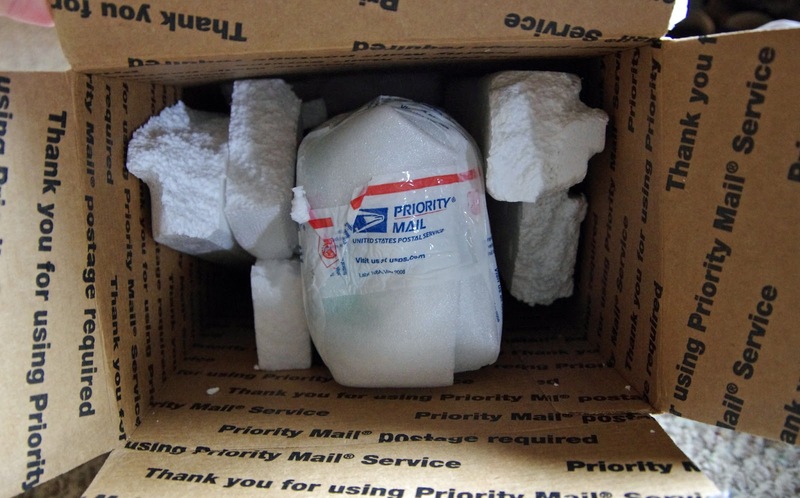 The USPS is the only postal carrier that will handle hatching eggs. You can order flat-rate boxes from their website for free to have on-hand for shipping. Medium-flat rate boxes are a good size for 12+ or about 15 hatching eggs, and small will easily fit half a dozen. Summer’s heat and winter’s freezing temperatures will damage eggs in transit. Schedule your shipments to avoid these dangers. Check the weather not only in your home area but also at the destination and in-between. Select smooth, normally shaped eggs. Candle your eggs to check for porosity and eliminate any overtly porous eggs because these will not hatch as well. Do not include any eggs with hairline cracks. Select eggs from a variety of hens, and if possible, more than one rooster to provide the greatest genetic diversity. Meeks Method, enhanced breeder rations, careful storage, and skilled incubation + 1,800 miles = 90% hatch rate! Research and use a reliable packing method, and do not skimp on packing materials. You will save money in the long run by packing eggs safely and avoiding the cost of replacing shipments. The Meeks Method involves wrapping each egg individually in tubes of bubble wrap and lining them up on end in the carton. Foam egg shippers are available online and also work well. Mark the outside of the box as agreed upon. You will likely want to have the delivery held for pick-up (“Hold for pick-up: Call ###-###-####”) and mark the box “Fragile” if nothing else. 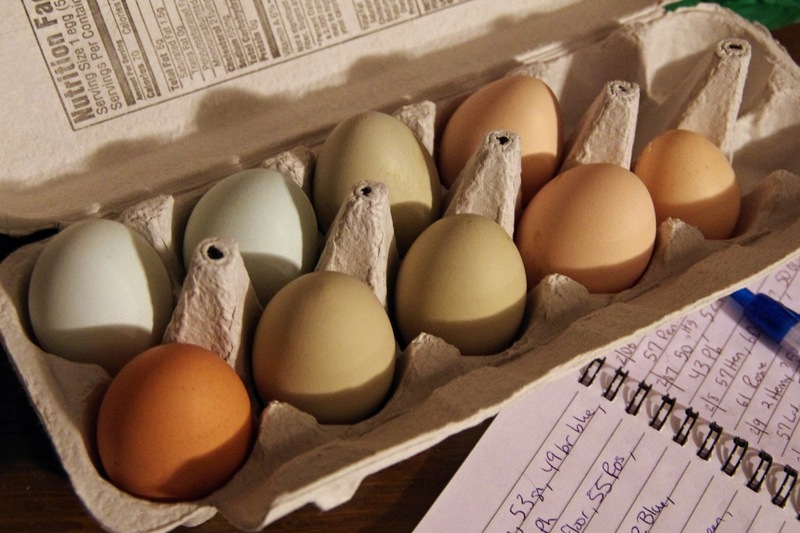 If you are selling locally, you can invite the buyer to pick up the eggs at your home. However, for biosecurity and personal safety, this may not be the best option. Instead, arrange to meet your buyer at a public location such as the parking lot of a local feed store during business hours. On the way to your meet-up, be sure not to leave your hatching eggs in direct sunlight, on a heated car seat, or in the full-blast of heat or air conditioning. A cooler without ice and padded with a few towels to protect against bumps makes a very nice egg transporter. Eggs can arrive intact but unhatchable because their internal structures are compromised. Not one of these eggs hatched. Email your buyer when you ship with tracking information if possible. If the buyer has a complaint about their hatching eggs upon arrival or after hatch, refer them to your disclaimer or negotiate a replacement order. Some sellers offer to reship eggs for half-price plus the cost of shipping to maintain overall customer satisfaction. You may want to encourage buyers to contact you after the hatch or you may want to send follow-up emails. If they had a good hatch, ask if you can use photos of their chicks and their testimonial in your future listings. Keep their email address and send them exclusive offers or news about their favorite breeds to maintain customer loyalty. Be sure to ask for pictures of the chicks and a testimonial! Breed well and be proud! You have put a lot of time, money, thought, consideration, and resources into your flock. Be proud of your work and tell others why your flock is valuable. Make your breeding selections with care and, if you’re lucky enough to have “chicken friends,” ask them for a second opinion. Think about how to improve your flock for next year, and keep dreaming! Thank you for the excellent article Heather! We are just about to start shiping the eggs from our beautiful Euskal Oiloas and it is great to know how to do it properly. I recieved eggs from the other side the country and was disappointed by how few of them were viable at the 14 day mark. Those same eggs were quite porous. Why are some eggs so porous? Do the hen’s need more calcium? Great article from an awesome writer, thank you Heather! Great post, lots of really good information here. We’ve started using a modified version of the Meek’s method, it really is the best. Thanks for sharing. Very neat! It would be interesting to stick one into a box of hatching eggs and see what it registers. Excellent idea! I just learned about these inexpensive sensors today. They measure and record rough handling during delivery.